On 16-17 February 2017 the foreign ministers of the G20 countries gathered in Bonn, Germany’s United Nations city. This was the second ever meeting of foreign ministers under the G20 umbrella, which brings together 19 of the world’s largest economies, plus the European Union. The discussion among the G20 foreign ministers officially centered around issues of a long-term nature such as the implementation of the 2030 Agenda for Sustainable Development and the Paris climate agreement, crisis prevention and resolution, and opportunities for deepening the G20’s relationship with African economies. The meeting also provided an early opportunity for G20 members to engage with the new US administration. The Bonn meeting was informal, insofar as the intention of the host was not to produce a concrete outcome, such as a communique or a joint statement. Despite – or even because of – the lack of pressure to produce concrete outcomes, the meeting can be considered a success. The first meeting of G20 foreign ministers took place on 18-19 June 2012 in Los Carbos, Mexico. It was initiated by the then Secretary of Foreign Affairs of Mexico, Patricia Espinosa. Ms. Espinosa, now Executive Secretary of the United Nations Framework Convention on Climate Change (UNFCCC, also headquartered in Bonn, argued at a panel-discussion on the margins of the Bonn meeting that the main purpose of the 2012 G20 foreign ministers meeting was to dispel fears among non-G20 members that the G20 would form an exclusive club that would supersede the United Nations system, thereby leading to fragmentation of the international system. While the G20 has established itself as a forum that seeks to complement existing multilateral institutions, the risks of fragmentation in global governance processes have not gone away. If anything, recent political events, including the first foreign policy forays of the new US administration, are an indication that long held institutionalized forms of international cooperation may be under threat. One of the main objectives of this years’ foreign ministers meeting, therefore, was to send a strong signal in support of multilateralism. The G20 foreign ministers’ meeting gained more global attention than initially thought, as it was the first international exposure of a Cabinet member of the Trump administration. The new US Secretary of State, Rex Tillerson, joined the two-day meeting in Bonn. The Bonn meeting therefore provided an early opportunity for a number of personal meetings between foreign ministers, providing the basis to rebuild the social fabric of international cooperation in the run up to the G20 leaders’ summit in Hamburg on 7-8 July. However, while many of Mr. Tillerson’s counterparts may have been eager to engage in a discussion with the high-level US-representative, his delegation stressed that it was primarily on “on a listening tour”. This was partly due to Mr. Tillerson being only two weeks into his role as Secretary of State. The low-profile approach of the US delegation, however, may also have been a result of the ambiguity of President Trump’s foreign policy positions. Nevertheless, President Trump has recently confirmed to chancellor Merkel that he will attend the G20 Summit in Hamburg. Despite media attention on Mr. Tillerson, the Bonn meeting was important in three more ways. First of all, after what was initially an unclear relationship at the time of the first G20 foreign ministers meeting in 2012, the G20 and the United Nations seem to have found a way to complement one another’s work partnership. 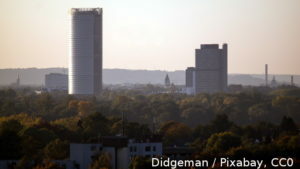 The choice of Bonn, host to a number of United Nations organizations, was surely no coincidence. High on the agenda of the foreign ministers’ meeting was the role of the G20 in supporting two important UN-driven processes, namely the 2030 Agenda for Sustainable Development and the Paris climate agreement. Furthermore, the United Nations General Secretary, António Guterres, was present in Bonn and played a prominent role during the discussions. Secondly, it is notable that the German host choose the 2030 Agenda and the Paris climate agreement as key issues on the agenda. These issues are typically discussed by the development and sustainability work streams of the G20. By taking on the responsibility to support the implementation of the 2030 Agenda and the Paris agreement, foreign ministers acknowledged both the universality of the Agenda, and foreign ministers’ responsibility to harness the full breadth of international cooperation in order to promote sustainable development and climate change mitigation and adaption, and not only in the interest of international security and peace. Sigmar Gabriel, the new German foreign minister and chair of the meeting, put the 2030 Agenda first when wrapping up the discussions at a press-conference, highlighting the crucial role the G20 has to play in its implementation. This is a good starting point for the task at hand now for the G20 vis-à-vis the UN: to evolve from a complementary to a supportive relationship that strengthens multilateral institutions on the basis of shared principles and values, as expressed in the 2030 Agenda and the Paris Agreement. In a time when national governments are less likely to engage internationally, a strong UN is ever more necessary. Last but not least, the foreign ministers’ meeting in Bonn points to a further broadening of the G20 agenda since its elevation to a leaders’ forum focused on tackling the financial and economic crisis in 2008. While the G20 has already moved on from being in crisis mode to performing functions of a global steering committee, the establishment of a foreign ministers format adds to the workload of what is an already complex G20 process. There are already early indications that Argentina will also convene a foreign ministers meeting under it’s G20 Presidency in 2018. Proponents of a slim and focused G20 agenda might object to this development. Still, at a time when the foundations of multilateral cooperation are being fundamentally challenged, the establishment of another channel for informal exchanges among high-level representatives of economically significant economies is surely not the worst idea to have. 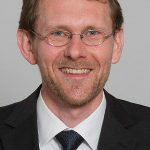 Axel Berger is Senior Researcher and Head of the G20 Policy Research Group at the German Development Institute / Deutsches Institut für Entwicklungspolitik (DIE).